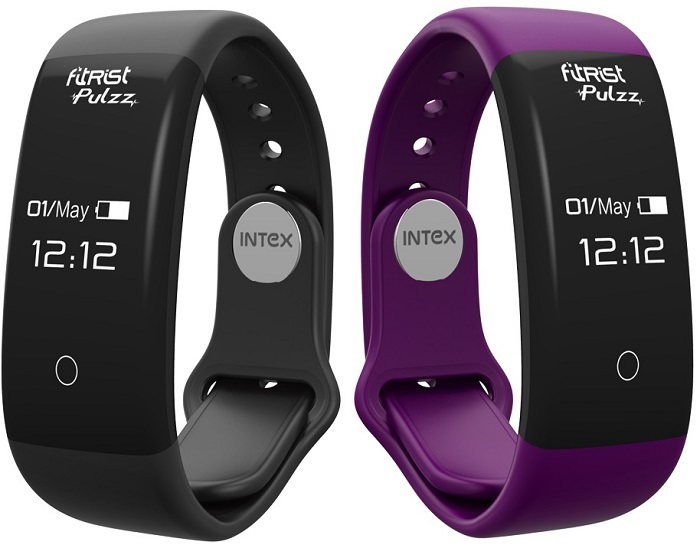 After launching the FitRist activity tracking smartband in India back in February this year, Intex has today launched the fitRist Pulzz in the country. While the FitRist was priced at ₹999, the fitRist Pulzz comes with a price tag of ₹1799. The fitRist Pulzz sports a 0.66-inch OLED display which has a resolution of 64 x 48 pixels. Besides showing call and SMS information, the display also provides Facebook Messenger and WhatsApp notifications. Using the fitRist Pulzz, users can change music tracks on their smartphones and can also take pictures by controlling the camera shutter from this fitness band. This fitness band also helps in tracking your smartphone if you misplace it somewhere. The fitRist Pulzz comes loaded with features like hydration reminder alarm, a personal burn meter, heart rate counter, steps counter and calorie burn monitor. It also monitors the quality of your sleep and lets you plan your fitness schedule. “With a growing awareness of fitness as a part of youth’s lifestyle, we have expanded our wearable smart band offering with the new fitRist Pulzz for the fitness conscious and tech savvy youth. We are happy to partner with Flipkart for bringing the fitness device exclusively to consumers and are confident that the platform will ensure quality reach”. said Mr. Keshav Bansal, Director, Intex Technologies. The fitRist Pulzz is water resistant and weighs around 28 grams. It connects to Android (4.4 or above) and iOS (7.0 or above) devices via Bluetooth 4.0 and features heart rate and tri-axis sensors. The fitRist Pulzz comes in Black, Blue, Green and Violet colors and is available for purchase on Flipkart exclusively. It has a battery life of 7 days and buyers will also get an additional strap with purchase.